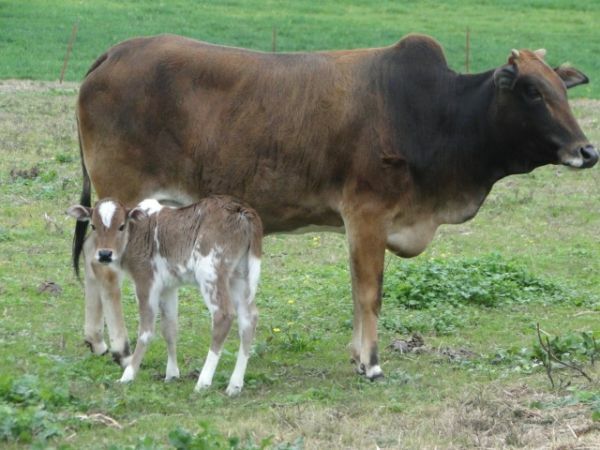 This page details our miniature dairy cows and breeding program. In late 2012, we purchased a 3/4 mini jersey heifer for Josey. The mini jerseys like the lowline and mini herefords are just too expensive for us for the most part. After researching the AMJA website and reading about the breeding up program, we decided that it might be something that we could afford to do. *** Please note, we will not be registering cattle with the AMJA at this time. Most people seem to be more interested in a nice homestead cow than the paperwork any way. 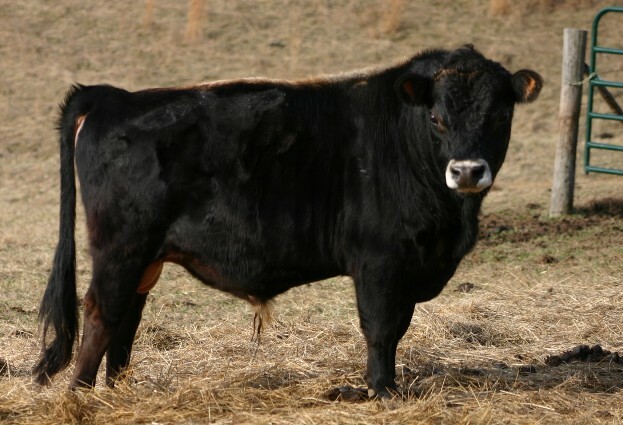 *** We have located a nice bull and a few cows that will be registered with the AMJA as breeding stock. Over the next several years we will be working toward a Native Pure Mini Jersey herd, and will likely sell a few percentage heifers along the way. If you are interested in any of our upcoming calves, please let us know and we can place you on our contact list. We have had several questions about the pricing of the F1 crosses. Here is how we are planning to do our pricing, exceptional animals may vary. 50% miniature Jersey heifers will be priced starting at $1650 each. We will offer stud service later to those that buy heifers from us. 50% miniature Jersey bulls will be priced starting at $750 each. The marbling and tenderness of the jersey should make these some great little homestead beef animals. 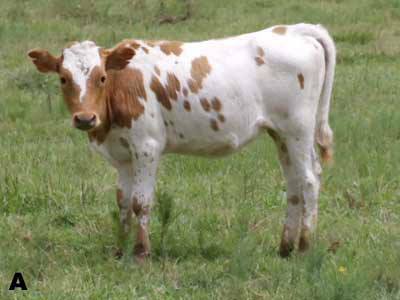 Most common and affordable miniature cow. There are quite a few to choose from if you are willing to search for them and willing to travel to get them. They are heat tolerant. This is a good trait to have in the Southeast. They will be less susceptible to mastitis and milk fever than standard size milk cows. They are parasite and disease resistant. 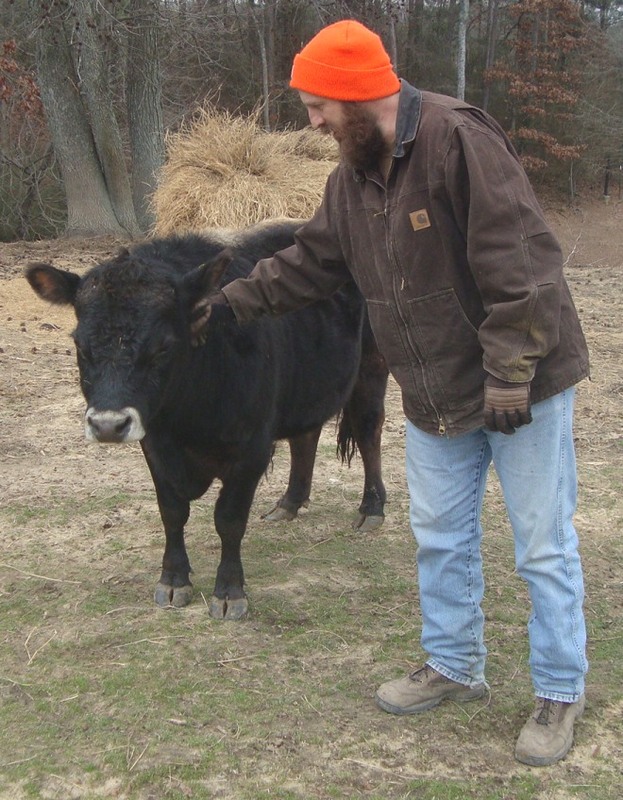 As an animal for beginning farmers, it helps if they are not too fragile. 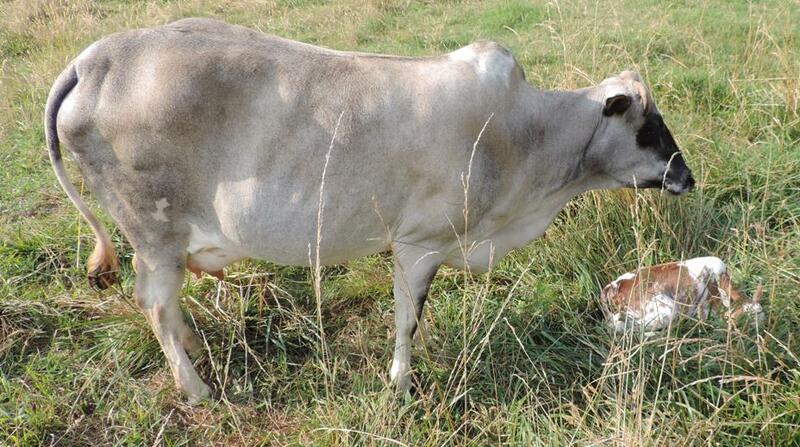 Zebu or Brahman are milked in many parts of the world. The quantity of milk they produce will be more appropriate for most families. Excess milk is excess feed that was used by the cows. They can use less than ideal forage. Points 2-7 would also apply to the Pineywoods heifers that we will also be using. This Doe Creeks Tango. He replaced Remy as our dairy herd bull in the spring of 2016. As of 5/28/17, 6 out of 7 calves have been heifers. He is A1/A2. We will stand him to a few outside cows in 2017. His stud fee will be $500 and will include a 60 day stay at our farm. Any additional time on the farm will be charged $1 per day cow care. This is DCM Remy, he will be the foundation of our breeding up program. We have assembled a group of almost 20 cows and heifers. 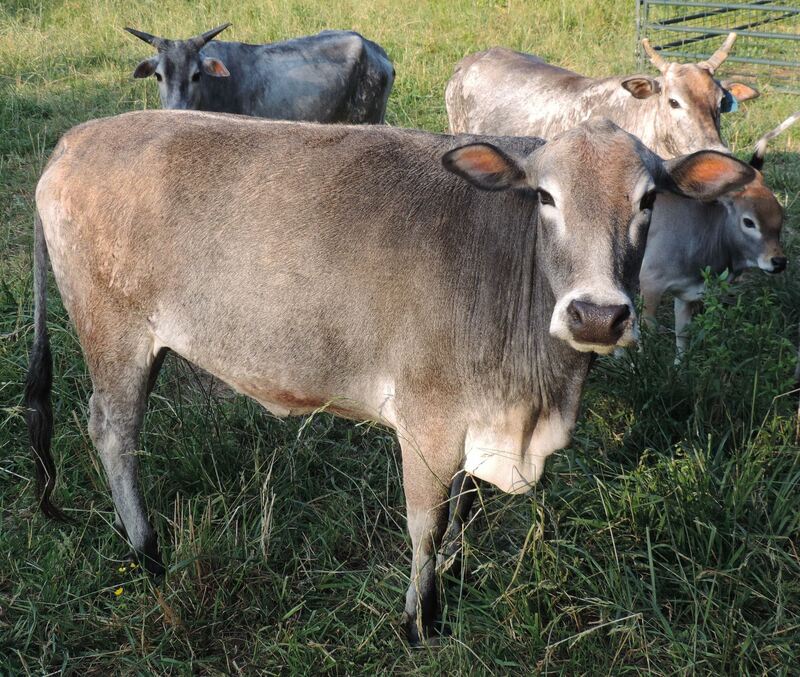 My cousin Kenneth has also purchased 5 zebu cows which will be bred to Remy. Remy is a line bred son of "Riverview Son of Fat Louie". He will help us produce small well proportioned dairy cows that will be a great asset to any small homestead. Remy came home on 2/9/13. This is "Clover" the little girl that got us started down this path. She is 3/4 mini jersey, so when she is bred to Remy, the resulting calf will be 7/8 or native pure if it is a heifer. She will not be old enough to breed until early 2014. She is Josey's heifer and will be a milk cow for us. This little cow and two others will be coming to the farm in late July. They have all three been exposed to a miniature jersey bull, but I will not have the documentation needed to register any of the calves. The other two are just gray, I wish they looked like her. The cow above had a lovely heifer for us on 10-3-13. She will be retained and used in our breeding program. She is a gorgeous little girl. She was worth the wait. 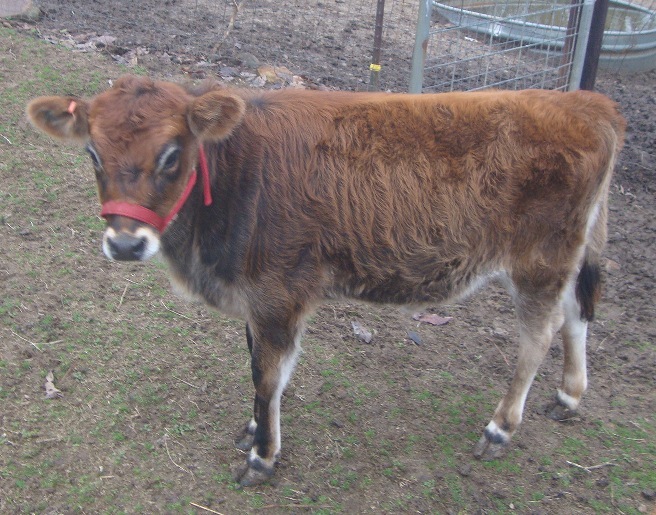 This little cow, Lucy, was on a farm not far from where Remy was located. We traded our yearling bull "Zeke" for her. She came home with Remy on 2/9/13. Huggs was purchased with the two cows below. She is the mother of the one just below this picture. When reviewing her paperwork, we were surprised to see that she is the granddaughter of a bull that we raised and owned in the late 90's. She had a really nice bull calf for us. He sold the day he was born just after I posted his picture on facebook. I really like this cow and the one below. These girls will bring the size down. They will also add some heat tolerance and parasite and disease resistance to the 50% calves that they produce. I hope to be able to sell that handsome little bull calf to help purchase another cow for the herd. This girl is just awesome. I like her color, especially the white around the nose and eyes. We are buying her bred. I am hoping for a heifer as loud as the bull calf above. 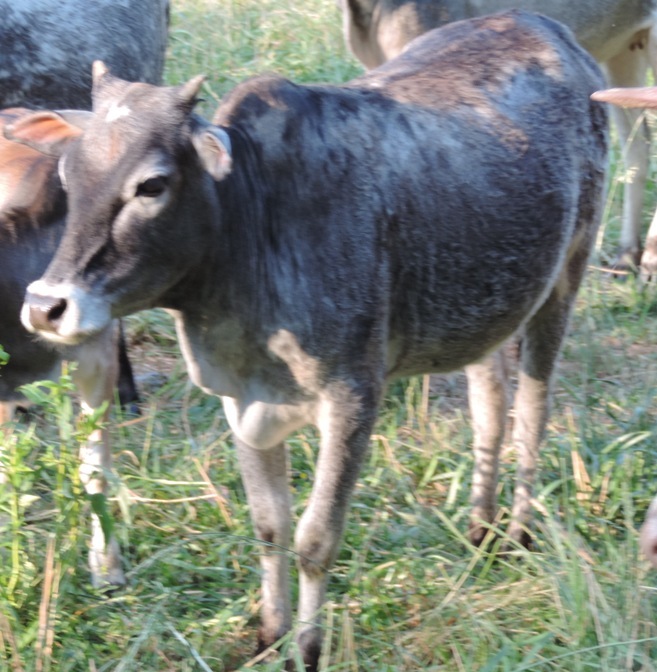 I have learned that small jerseys were used in a breeding up program for the miniature zebu. I suspect that the polled and light accents come from jersey influence. 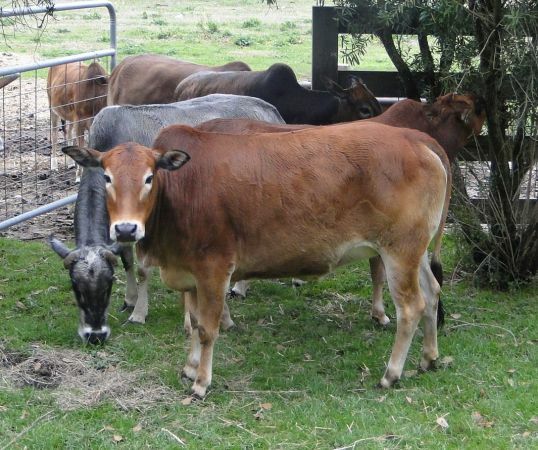 We will be working in reverse, using the zebu cows to breed up to native pure miniature jersey. I was able to talk my cousin Kenneth into selling this little polled zebu heifer to us. She should produce some very nice calves for us. She is just a yearling so we will have a little while to wait. 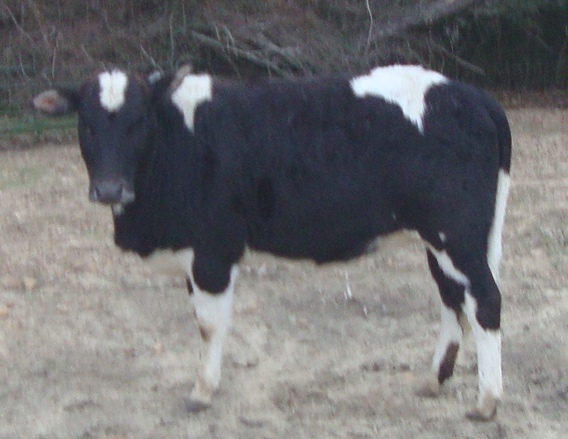 This is a yearling heifer that we got at the same farm as the one above. She has a few small patches of white on her sides so I am hoping that it will show on her calves as well. This is Miss Pope. 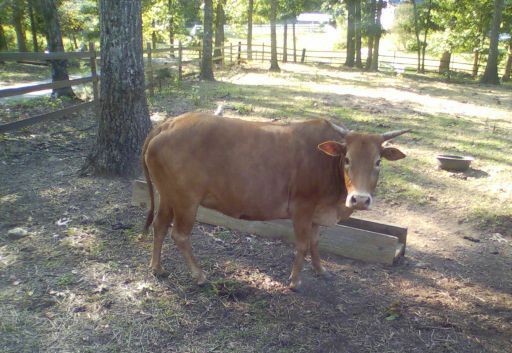 She is a nice polled zebu cow that we got in Mississippi. 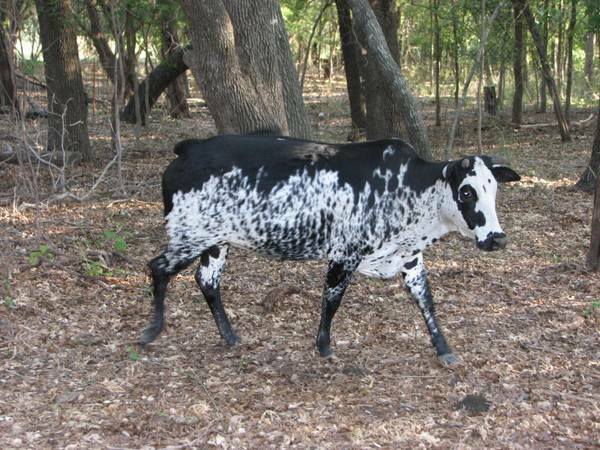 She is bred to a very loud black and white zebu bull. I hope that she had a heifer that looks just like him. She is a nice sized cow and should produce some really nice calves from Remy. This is one of 3 small pineywoods heifers that came to the farm in August of 2013 to become part of the dairy herd and keep Jake company. This cow and calf pair came to the farm on 12/21/13. The calf will become part of the dairy herd. The cow is supposed to bred back the same way, so we are hoping that we get lucky enough to have another heifer just like this one in the fall of 2014. The cow will likely be kept as part of the dairy herd as well.